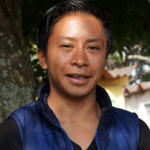 Augusto, a teacher of Intercultural Bilingual Primary Education, is originally from Cantón Xatún, Paraje Pujacar Department of Totonicapa, Guatemala. He was selected as a GOJoven Fellow when he was 20 years old. 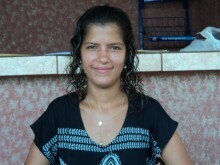 Augusto is an active listener who takes initiative and is very collaborative and participative. He currently works on a Sexual and Reproductive Health project in the Association Pro-Community Development Council, where his responsibilities include monitoring the actualization of sexual and reproductive health rights, overseeing a campaign launch to prevent teenage pregnancies, and promoting policies for children and youth regarding the Integral Education in Sexuality.